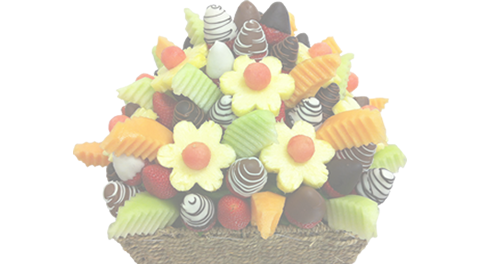 A delicious edible bouquet that is a wonderful gift to send clients, friends or family this festive season. 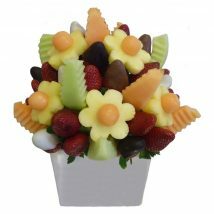 A delicious bouquet treat that is a wonderful gift to send clients, friends or family this festive season. 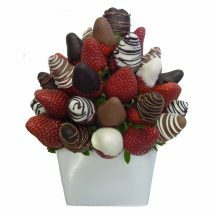 A gourmet fruit arrangement of sweet strawberries dipped in delicious milk, white and dark chocolate, topped with a juicy pineapple star and presented in a festive gold keepsake ceramic.